"An original artist, a tunesmith, and a songwriter of considerable skill..."
Debbie has been performing at festivals, concerts and coffeehouse venues throughout the Northeastern United States for more than twenty years. She has a rich, expressive voice that is perfectly complemented by her harp. She is well-steeped in traditional Scottish music and her song-writing talents bring a fresh perspective to that heritage as well as many of life’s journeys. Debbie has a wide repertoire of traditional centuries-old Scots ballads and songs, many in Scots Gaelic. Not only does she accompany her singing on the harp, but Debbie adds the Scottish jigs, reels, and strathspeys, to her performances as well. 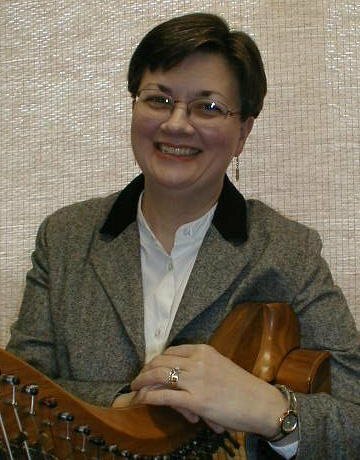 Debbie has a Scottish Certificate in Traditional Music from the University of St. Andrews, Scotland and she is a respected adjudicator for the Scottish Harp Society of America. Debbie teaches at the annual Harpers Escape Weekend, a nationally-recognized harp retreat that she co-founded in 1992. 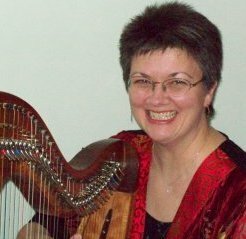 She has taught other workshops as well on Scottish music, learning by ear, and Robert Burns at harp conferences, including HarpCon and the Somerset Folk Harp Festival. Debbie's performance of The Slave's Lament by Robert Burns in the Sunday concert at the 2009 Somerset Folk Harp Festival. 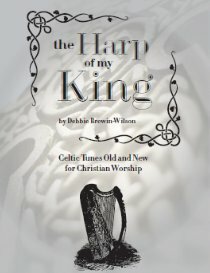 July 18, 2013: Debbie launched her new music book and CD set, The Harp of My King, at the Somerset Folk Harp Festival in tandem with her workshop presentation at the conference "Celtic Music for Church." It is a collection of 24 original and traditional Celtic pieces arranged for harp. Ten Years of Tunes and Another Ten Years of Tunes book/CD compilations with Kathy DeAngelo, Grainne Hambly and William Jackson from the Harpers Escape, the harp retreat she founded with Kathy DeAngelo.